One for the bum and one for the wash, a nappy a day keeps the landfill away. 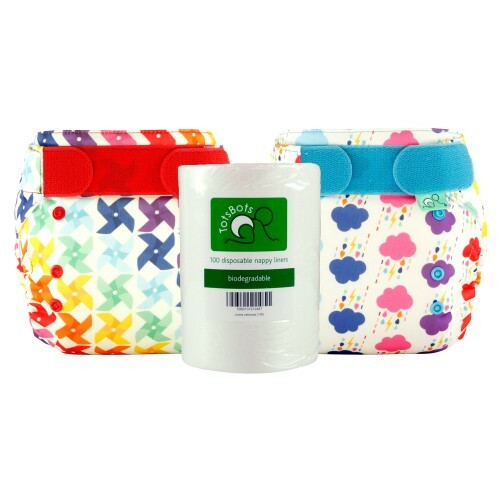 Our reusable nappy mini kit is the perfect bundle to get you started using cloth. It doesn't take a lot to make a big difference. The award-winning EasyFit Star fits from 8-35lbs. For most babies, this will be from birth to until they are ready for potty training. Contents: 2 x Easyfit nappies, 1 x roll of biodegradable liners. 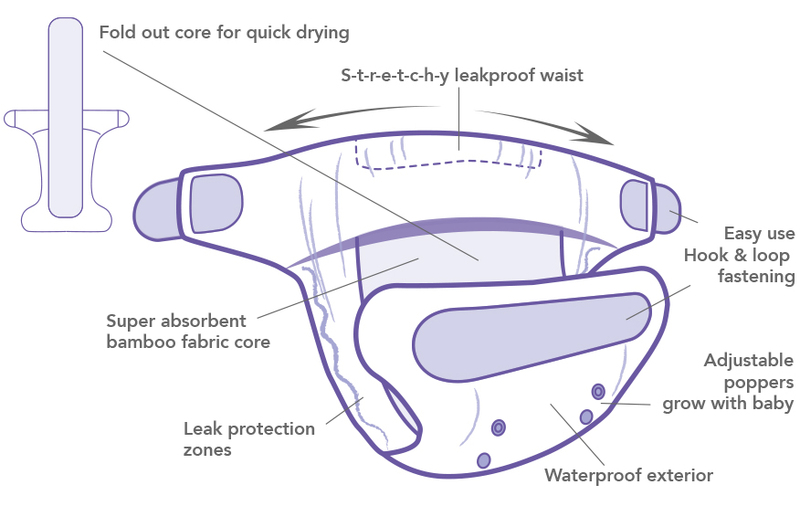 The EasyFit Star is the ultimate one-piece reusable nappy which is just like a disposable nappy. It’s really easy to use and with a gorgeously soft absorbent interior and stay dry buffer zones, you’ll always get an outstanding performance!